10 A None No Power Seat 10 A is an Economy Class Exit Row seat. Volaris Airlines designates this seat as a Premium seat and is charging an additional fee for it. The Premium seats offer additional legroom. The tray table is in the armrest, making the armrest immovable and slightly reducing seat width. There is no floor storage during takeoff and landing. 10 B None No Power Seat 10 B is an Economy Class Exit Row seat. Volaris Airlines designates this seat as a Premium seat and is charging an additional fee for it. The Premium seats offer additional legroom. The tray table is in the armrest, making the armrest immovable and slightly reducing seat width. There is no floor storage during takeoff and landing. 10 C None No Power Seat 10 C is an Economy Class Exit Row seat. Volaris Airlines designates this seat as a Premium seat and is charging an additional fee for it. The Premium seats offer additional legroom. The tray table is in the armrest, making the armrest immovable and slightly reducing seat width. There is no floor storage during takeoff and landing. 10 D None No Power Seat 10 D is an Economy Class Exit Row seat. Volaris Airlines designates this seat as a Premium seat and is charging an additional fee for it. The Premium seats offer additional legroom. The tray table is in the armrest, making the armrest immovable and slightly reducing seat width. There is no floor storage during takeoff and landing. 10 E None No Power Seat 10 E is an Economy Class Exit Row seat. Volaris Airlines designates this seat as a Premium seat and is charging an additional fee for it. The Premium seats offer additional legroom. The tray table is in the armrest, making the armrest immovable and slightly reducing seat width. There is no floor storage during takeoff and landing. 10 F None No Power Seat 10 F is an Economy Class Exit Row seat. Volaris Airlines designates this seat as a Premium seat and is charging an additional fee for it. The Premium seats offer additional legroom. The tray table is in the armrest, making the armrest immovable and slightly reducing seat width. There is no floor storage during takeoff and landing. 23 C None No Power Seat 23 C is a standard Economy Class seat. However, the proximity to the lavatory may be bothersome. 23 D None No Power Seat 23 D is a standard Economy Class seat. However, the proximity to the lavatory may be bothersome. 24 D None No Power Seat 24 D is an Economy Class seat located in the last row of the plane. This seat may have limited recline. The proximity to the lavatory and galley may be bothersome. Also, you will be among the last passengers to deplane upon arrival. 24 E None No Power Seat 24 E is an Economy Class seat located in the last row of the plane. This seat may have limited recline. The proximity to the lavatory and galley may be bothersome. Also, you will be among the last passengers to deplane upon arrival. 24 F None No Power Seat 24 F is an Economy Class seat located in the last row of the plane. This seat may have limited recline. The proximity to the lavatory and galley may be bothersome. Also, you will be among the last passengers to deplane upon arrival. 9 A None No Power Seat 9 A is an Economy Class seat that may have limited or no recline due to the exit row behind. 9 B None No Power Seat 9 B is an Economy Class seat that may have limited or no recline due to the exit row behind. 9 C None No Power Seat 9 C is an Economy Class seat that may have limited or no recline due to the exit row behind. 9 D None No Power Seat 9 D is an Economy Class seat that may have limited or no recline due to the exit row behind. 9 E None No Power Seat 9 E is an Economy Class seat that may have limited or no recline due to the exit row behind. 9 F None No Power Seat 9 F is an Economy Class seat that may have limited or no recline due to the exit row behind. All seats on this aircraft feature standard 110v AC power ports. Volaris Airlines operates the Airbus A319 on short-haul flights. 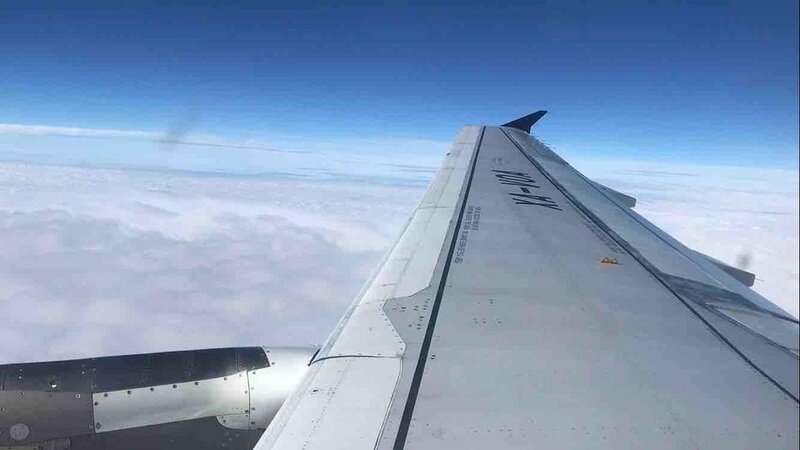 This aircraft flies solely with 144 seats of Economy Class. Seats 1 through 5 are considered premium seat which must pay an extra seat charge if you wish to sit in those particular seats. Seat 6A was a window seat. It was relatively comfortable. The chair reclined to lay back for a more comfortable travel during flight. 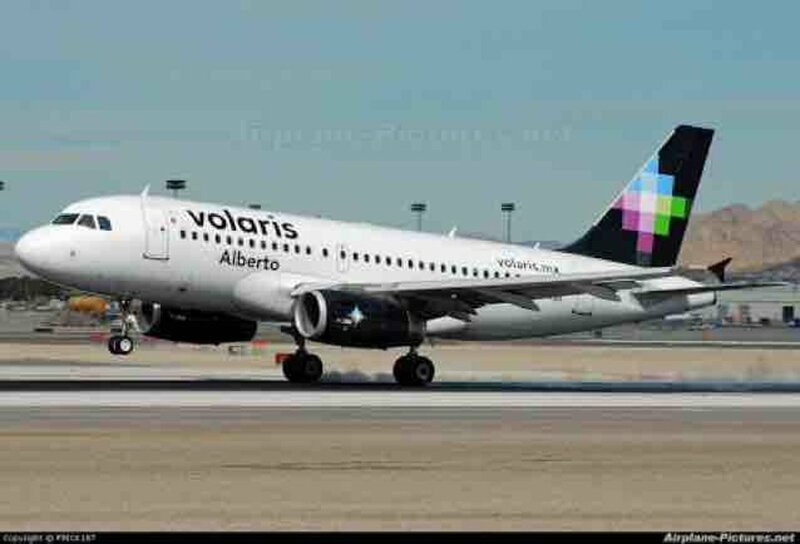 Volaris flies 1 versions of Airbus A319.